This is another favorite meal around our house: barbecue meatballs. These are not at all your typical Italian meatballs thrown in a dish of spaghetti. 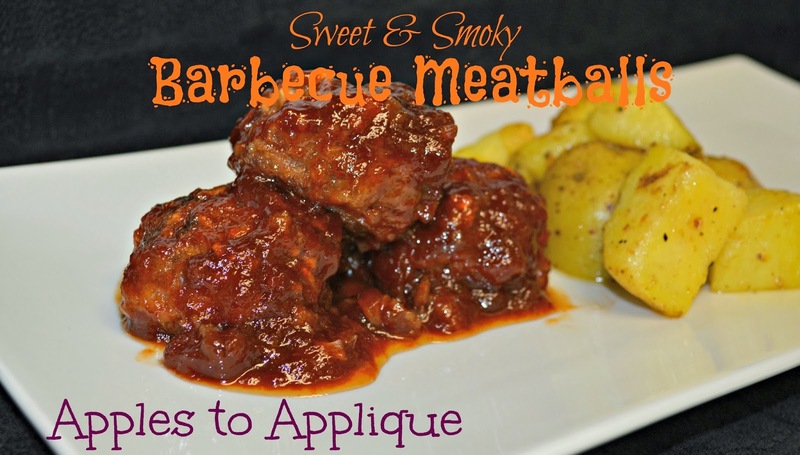 They are a stand-alone entree, smothered in a mouth-watering, made-from-scratch, sweet and smoky barbecue sauce. 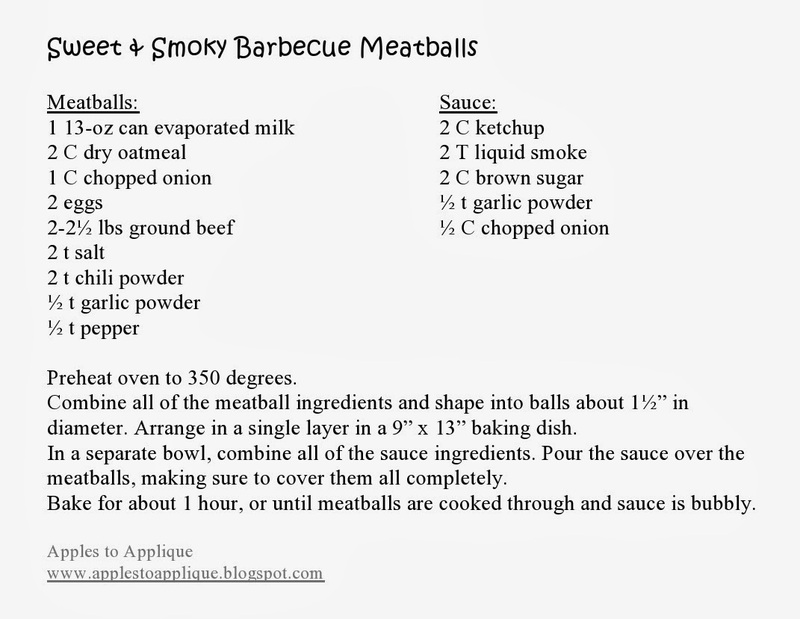 Although this recipe is not super time-consuming, it's not the quickest meal, either, but it's worth it! It takes roughly 30ish minutes to prepare, and then about an hour to bake. It keeps really well in the fridge if you need to make it ahead of time. 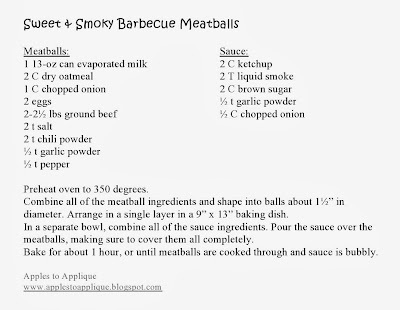 When I do this, I prepare the meatballs and smother them with sauce as instructed below, but I put them in the fridge without cooking. Then, when I'm ready to bake them, I take them straight from the fridge and slide them in the oven, increasing the cooking time by about 10 minutes. 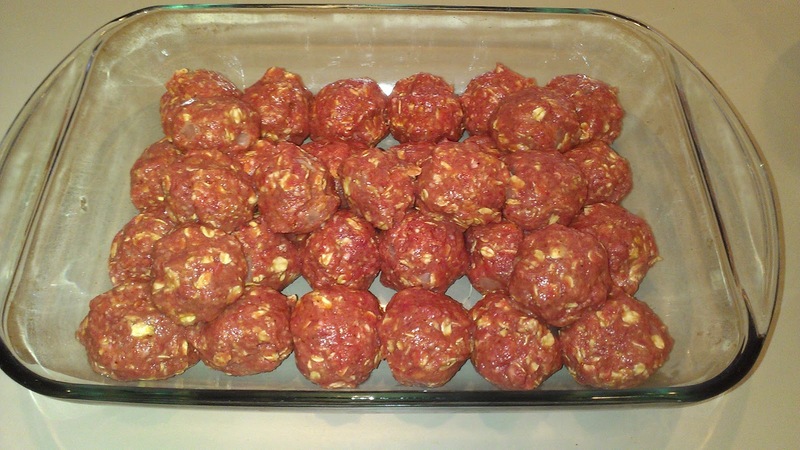 Combine all of the meatball ingredients. Shape mixture into balls about 1 1/2" in diameter--this is the time-consuming part. 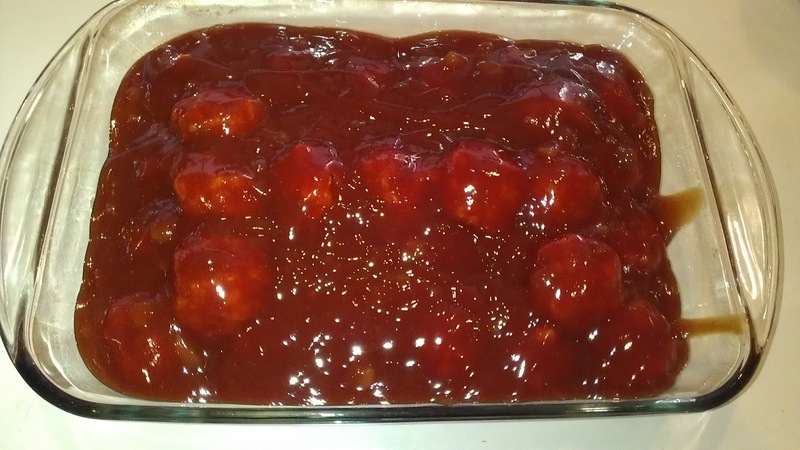 I suppose you could make this like a meatloaf and it would be really quick, but I think using meatballs helps get the sauce into every bite. 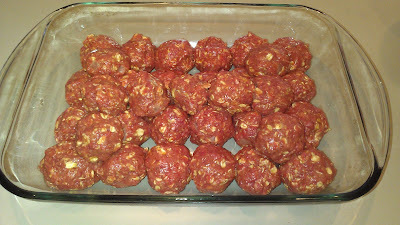 Place the meatballs in a single layer in a 9 x 13 baking dish. As you can see in the picture, mine aren't actually all in a single layer. I could have put the extras in a smaller baking dish by themselves, but I didn't feel like dirtying up another pan, so I just stacked a few. It works out fine, you just have to increase your cooking time. 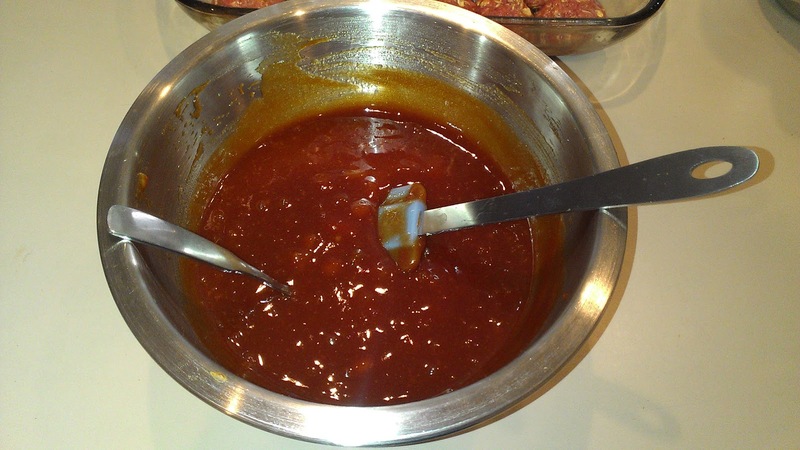 In a separate bowl, combine all of the sauce ingredients. Mmmm. This stuff smells so good! Pour the sauce over the meatballs, making sure to cover them all completely. Bake for about 1 hour. They'll come out of the oven all bubbly and delicious looking. I like to serve them with potatoes and a salad for a hearty and delicious meal. Perfect for cool evenings! Enjoy! We made these tonight. They were amazing but you still make them the best! Haha, thanks! I'm glad you enjoyed them, though!